Tis the season of rosé. My calendar this week was packed with portfolio tastings spotlighting the summer whites and rosés importers are now hawking to retail shops and restaurants for the warmer months. Being passionate about wines at the light end of the spectrum, I was happy to attend them all. Happier still to discover some new wines I can get jazzed about. Herewith, my finds of the week. If I could round them up on a desert island—along with a beach umbrella and wifi—I’d be happy as a clam all summer long. SCALA was new to me. 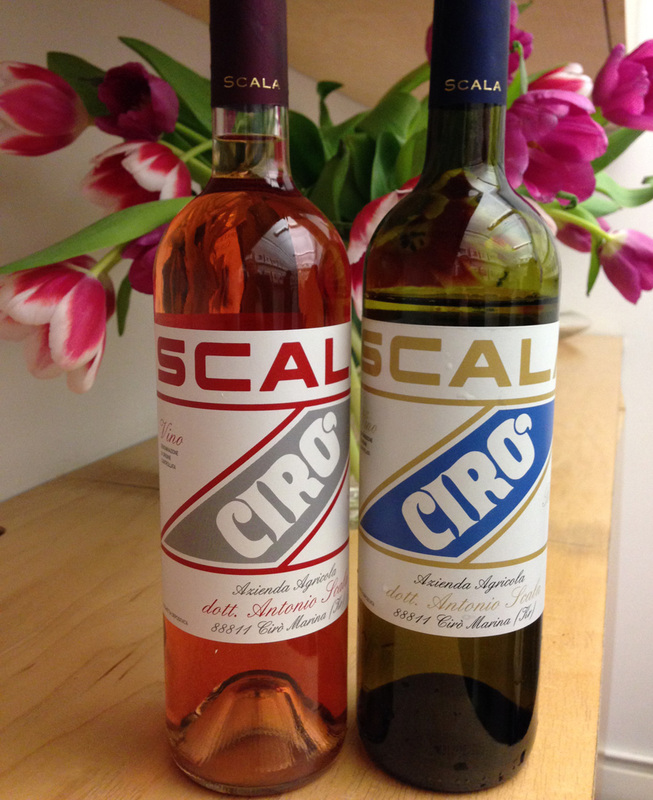 When I think of the Ciró DOC—probably Calabria’s only wine that’s penetrated the US market—I think of the Librandi brand. Scala is a fraction of that size, thus its unfamiliarity. Family-run since Luigi Scala opened its doors in 1949, when southern Italy was crawling out from the rubble of WWII, this winery is now run by son Francesco, who has turned the winery organic. I confess to a weakness for whites at the aromatic end of the spectrum, and here are two beauties. As for pink wines, my enthusiasm for Lambrusco was renewed. “But that’s red!” you say. Most are. 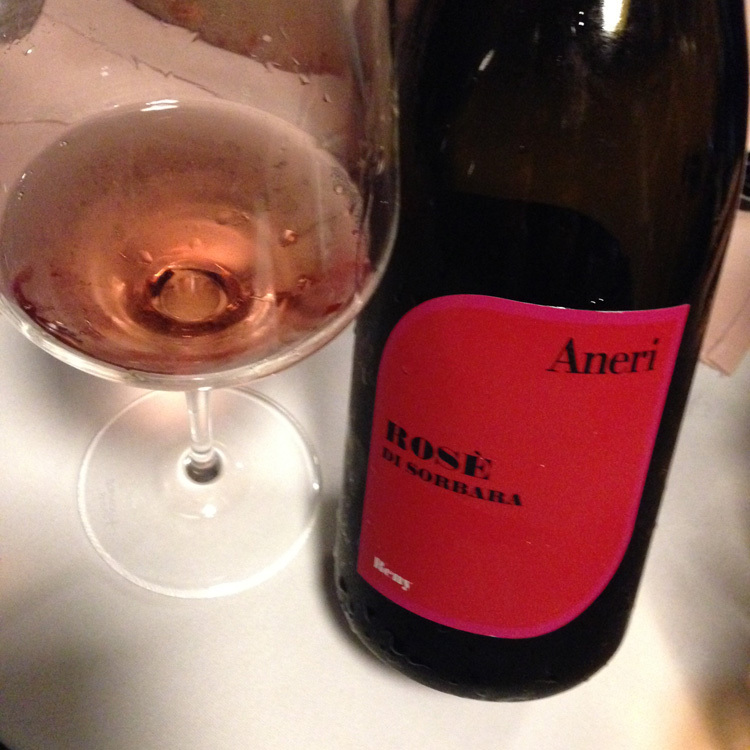 But one of the Lambrusco varieties, called Sorbara, is naturally low in pigments, so it creates a wine that’s pink—even when maceration lasts one month, rather than hours, as is the case with ANERI’s Rosé Lambruco di Corbara (NV). This Sorbara is much fruitier than most, in a very appealing way. Perhaps the RS (residual sugar) is a bit higher than normal in Sorbara, but it’s certain no higher than your average red Lambrusco. When I was a college student in Florence, I learned to love the habitual summer cocktail of Tuscany: equal parts sweet vermouth and sparkling water on the rocks, garnished with a fat slice of orange. So refreshing! Experimenting later, I found that white vermouth could also play nicely in summer highballs.